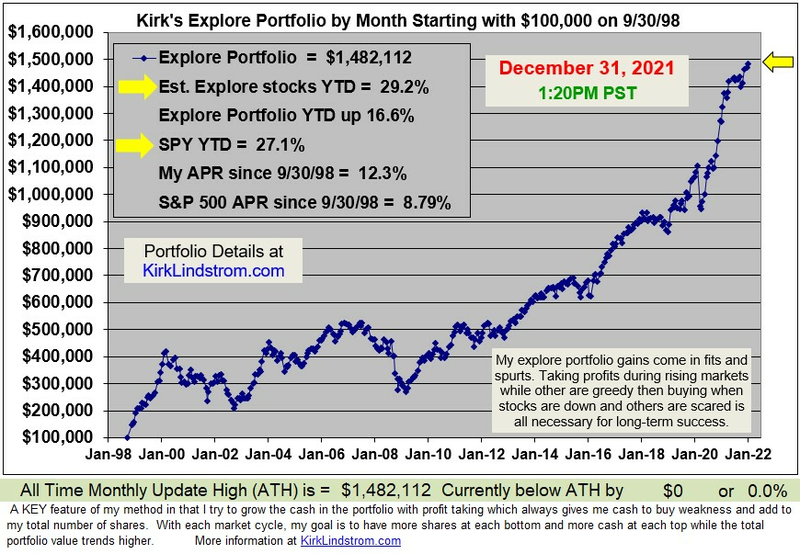 1/8/17 Update: 2017 Market Timer of the Year! 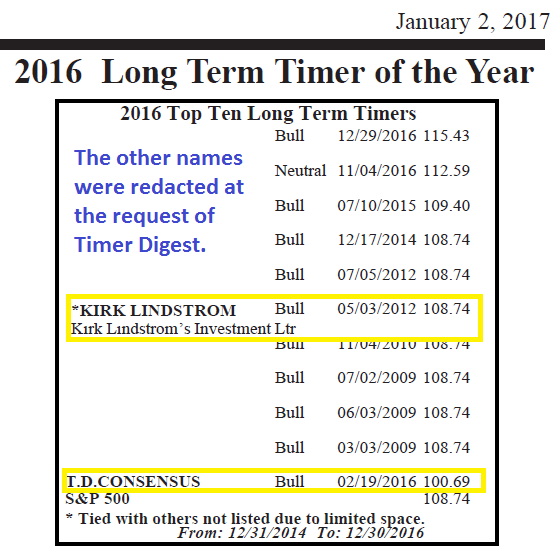 I am pleased to announce that "Kirk Lindstrom's Investment Letter" did very well according to the January 2, 2017 issue of "Timer Digest." 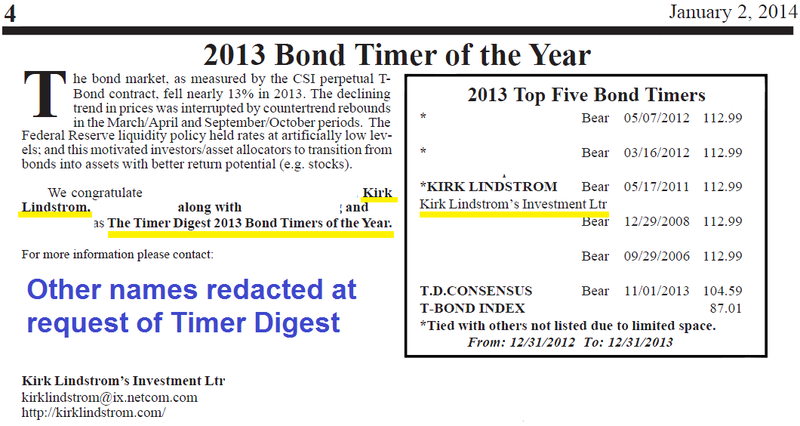 This is the annual issue where Timer Digest announces their 2016 Timers of the Year lists for stocks and bonds. 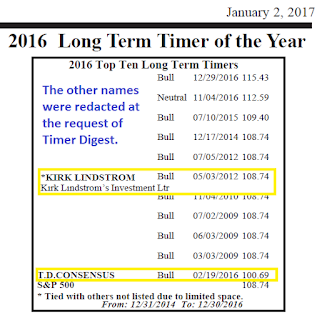 2016 Top Ten Long Term (Stock) Timers - Tied for fourth. Last year I tied for third.